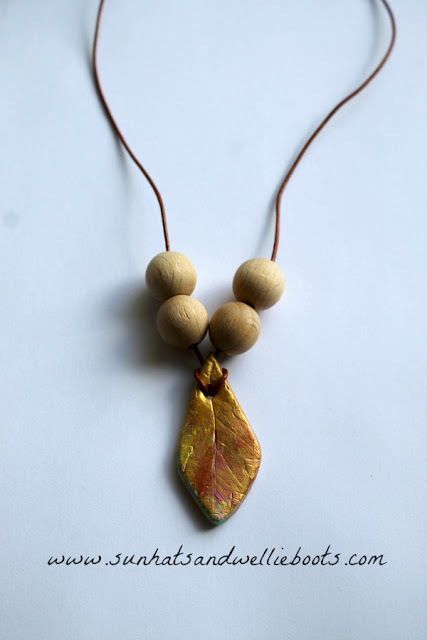 We're loving the beautiful colours of the trees this season, & as we've watched the leaves start to tumble from their branches they've inspired us to create some special seasonal necklaces. We're fortunate enough to have a large old oak tree beside our garden & throughout the year we've watched it change through the seasons. 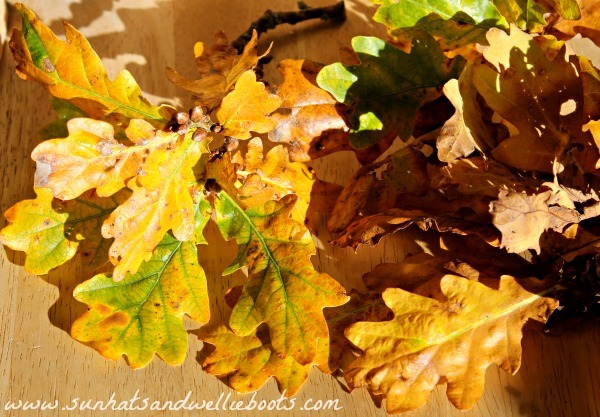 In the Summer its wide green canopy looked stunning & offered some much-needed shade, but this has to be my favourite time of year when its leaves morph into gold, rust & copper shades which just seem to glow in the Autumn sunlight. 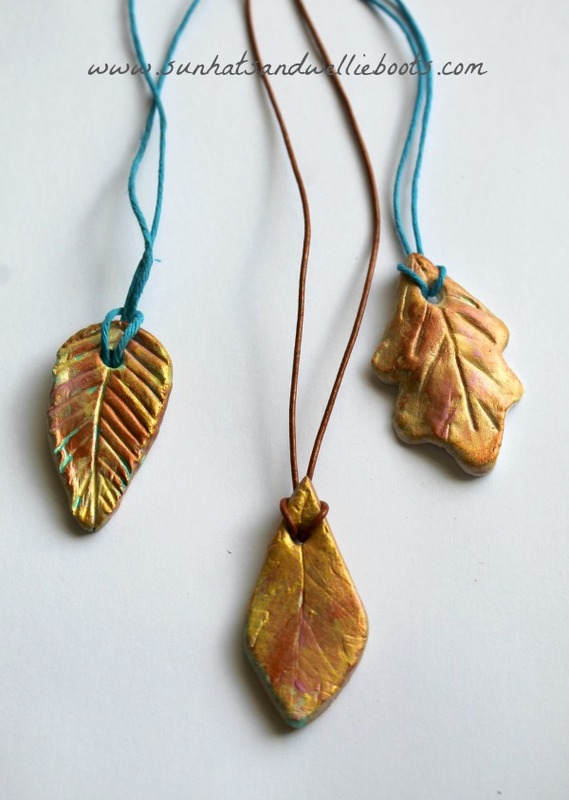 Inspired by the colours, patterns & shapes of the leaves we thought we'd create some Autumnal leaf necklaces. 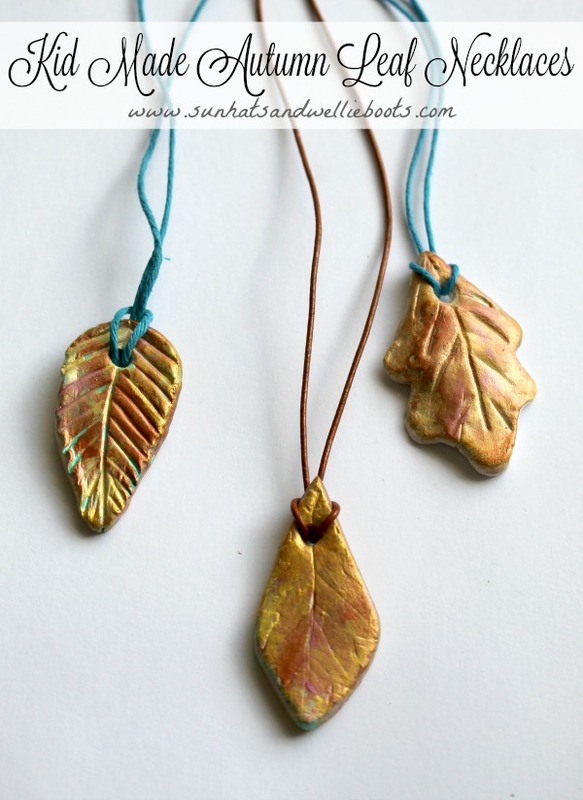 To make the edges of the leaves a softer rounded shape we moulded them with our fingers before adding a small hole where we could thread our necklace through later. 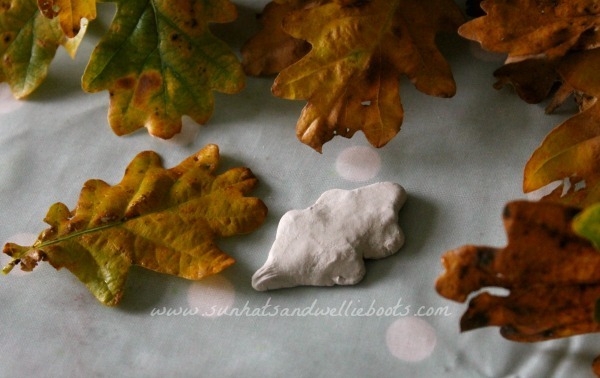 As these were fairly small sections of clay they dried pretty quickly & were ready to paint in a couple of hours. 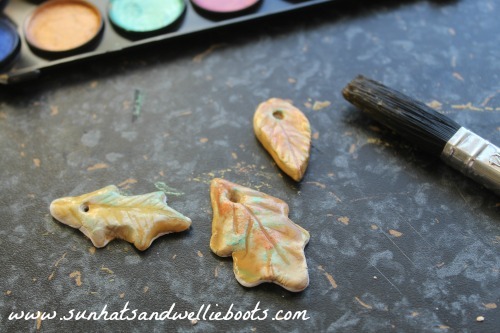 To colour our clay leaves we wanted to use paints that reflected the stunning autumnal colours & this Pearlescent palette gave us a perfect selection of seasonal shades to choose from. together giving us a mottled effect which was similar to the coloured patterns on the real leaves. 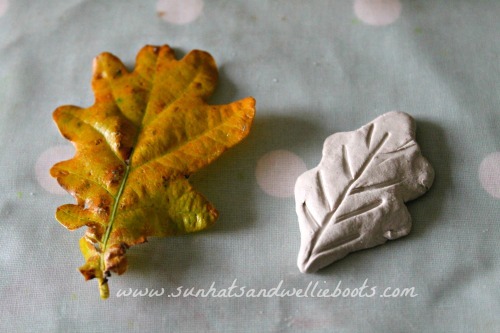 When we were happy with our designs we left them to dry for an hour or so. The finished clay leaf pendents looked gorgeous glinting in the sunlight & I loved the way the paint emphasised the patterns. To complete our necklaces we threaded a length of coloured cord through each leaf & then they were ready to wear. 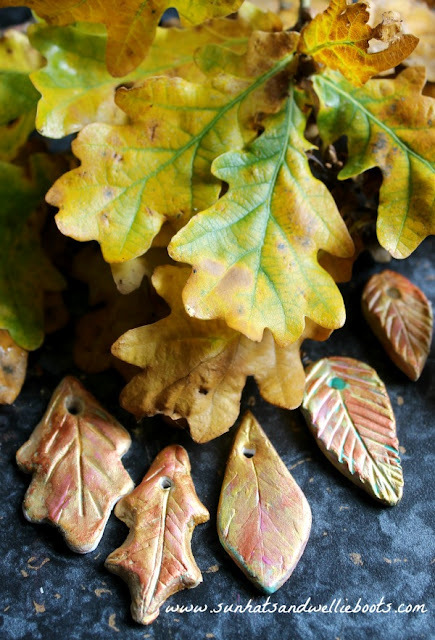 Beautiful autumnal treasures to brighten up any outfit & perfect gifts to share with friends. My kiddo added a few beads to this one & I think it looks absolutely gorgeous! 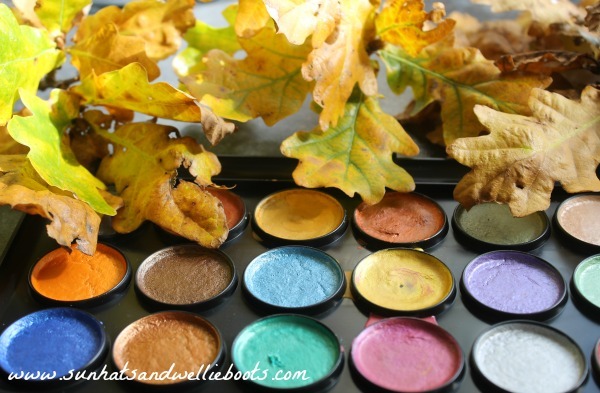 Now we can wear the stunning autumnal colours throughout the year & be remind of this seasons beauty.